This is a common question people ask when planning a new paving project, such as a patio, pool deck, driveway or walkway. With all the beautiful choices available at such a vast range of pricing, the selection can feel overwhelming. The answer can be easier than it seems. Throughout the landscape design process, we uncover site -and client-specific factors, such as architectural style, color preferences, drainage patterns, type of use, and budget. When factoring in all the variables, the right paving option then becomes apparent. For example, a client with a cozy backyard wanted the outside to blend with the inside. 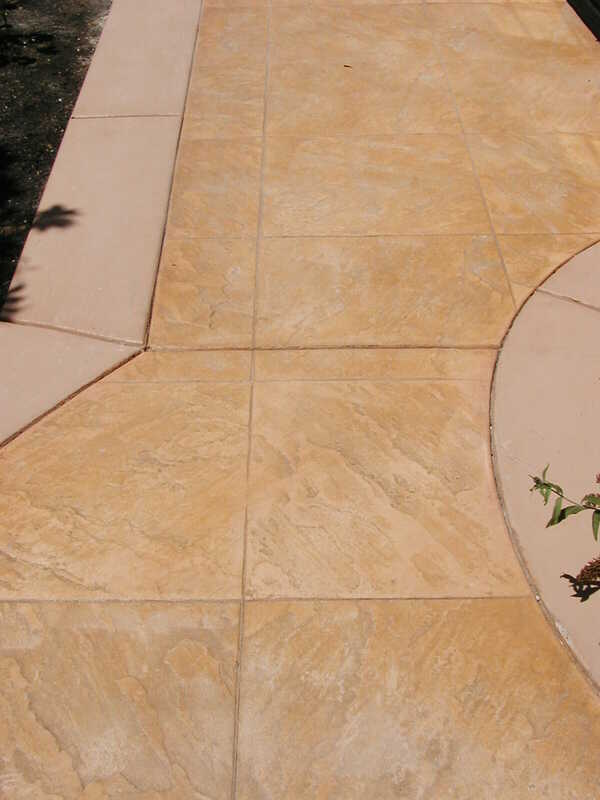 The beautiful inside flooring of travertine tile would look beautiful on the outside. However, because they also wanted an elaborate outdoor kitchen/bar island and pergola, we went with a less expensive paving material that has a similar look and feel to natural tile. We installed a beautiful, stamped concrete patio with three, integrated colors and a pattern that looked like natural travertine. My clients love the look and feel of their new patio, use it frequently, and get many compliments from all of their friends and family. The right paving material sets the stage for your beautiful outdoor environment. Hire the right professional to help guide you through the design and selection process.